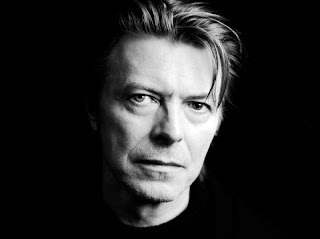 Video: David Bowie - "Where Are We Now?" In case you didn't hear about it everywhere, David Bowie has a new song out, and he's getting ready to release his first album since 2003. Now, you may have already heard about this on the news or read it in the paper (does anyone still do that?) or read about it somewhere else online, but did you actually take the time to listen to this song? It's quite good. David Bowie is a tough act to live up to, even for David Bowie, but this song is so great because he's not in any way trying to write something that will stand up to his legacy. Bowie has constantly re-imagined his image as a rock star and made some of the best music of all time so he really has nothing left to prove. This is simply a really good song about growing old from a man who just turned 66. There's a somber, but uplifting feeling to it that the abstract video, directed by Tony Oursler, compliments perfectly. Watch it below.